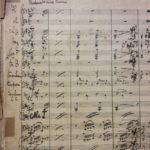 The original Holst manuscripts found in our library in 2017 will be returned to the composer’s homeland. 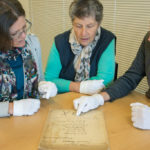 Symphonia members decided at their Annual General Meeting that the most appropriate course of action for their future care was for them to be housed in the Holst Birthplace Museum in Cheltenham. 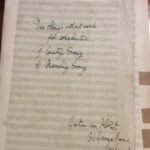 There they will be available for public viewing under the correct environmental conditions, and will also be accessible to musicologists and Holst Scholars for research purposes. The Holst Birthplace Museum is a small, independent museum, set up in 1975 in the Regency house where Holst was born in 1874. 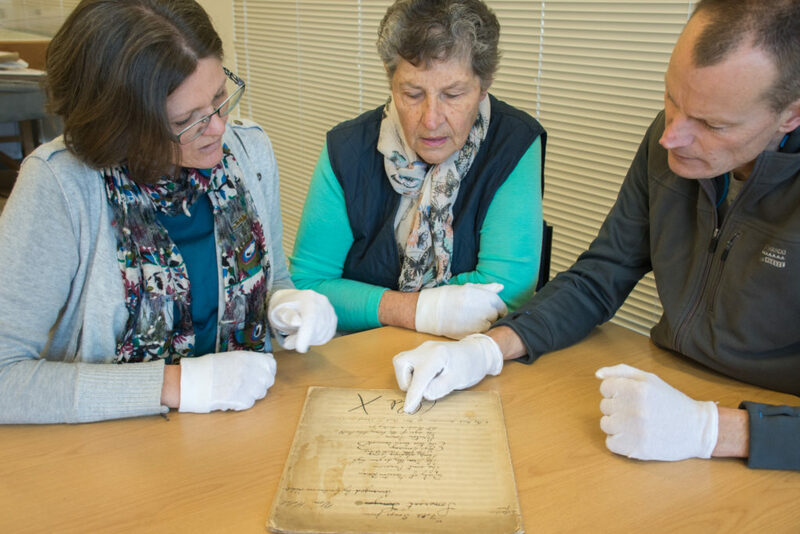 Missing for over a hundred years, two manuscripts of music by the renowned English composer Gustav Holst have been rediscovered in the library of the Bay of Plenty (BOP) Symphonia. 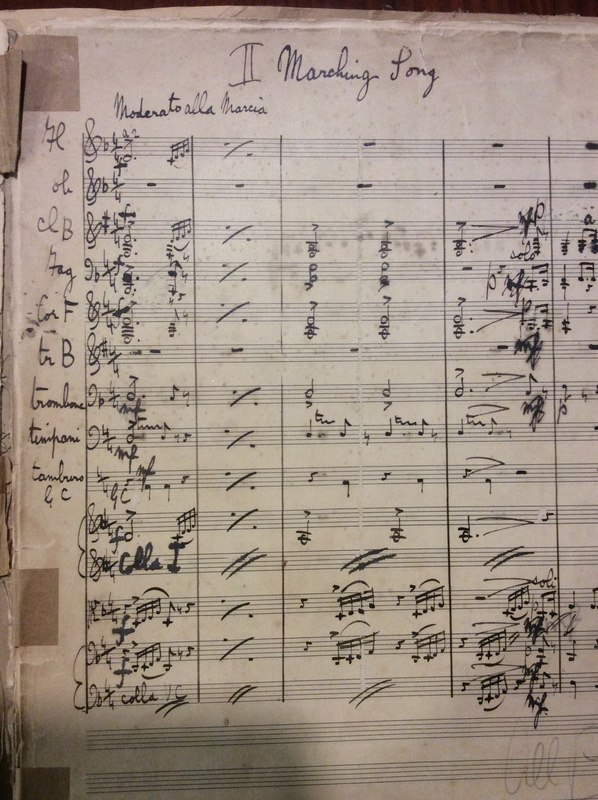 What had become of these original manuscripts from 1906, handwritten and signed by the great composer, was a mystery. Even more remarkable is that they were found during a tidy-up of the BOP Symphonia’s sheet music library, 20,000km from where they originated. 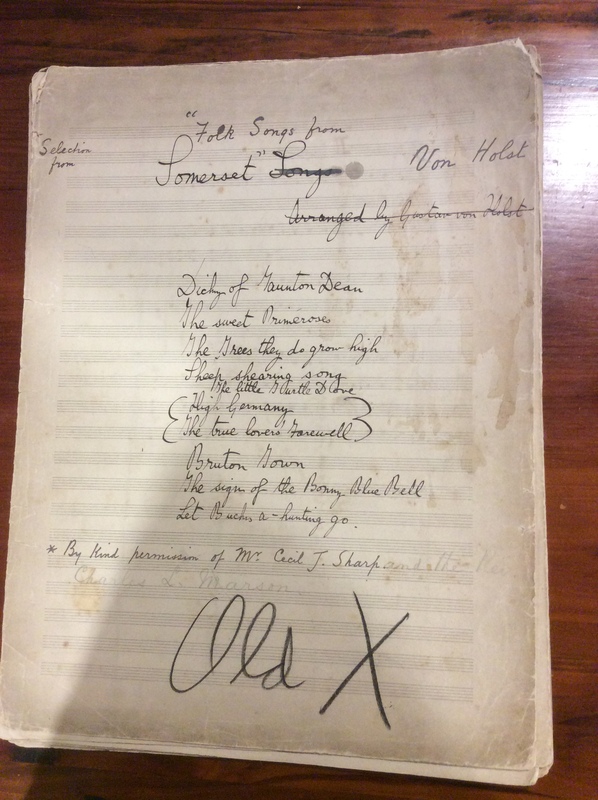 Justus and Gloria established that the hand-writing looked rather like Holst’s, and that he had in fact lived at the address written on the music at the top of the page, but even then, they initially refused to believe its authenticity. They instead put the scores away in a drawer. Only last month further research established that the documents, which had been considered lost for eternity, were in fact genuine. For further information contact Bronya Dean: bronya.dean@gmail.com or 027 965 1222. Photo 4 – From left: Bronya Dean, Gloria Pheasant and Justus Rozemond examine the score of ‘Folk Songs from Somerset’. Gustav Holst (1874-1934) was an English composer, most well-known for writing the orchestral suite, ‘The Planets’. Holst was one of several English composers in the early 20th century, who were interested in using folk songs in their compositions. 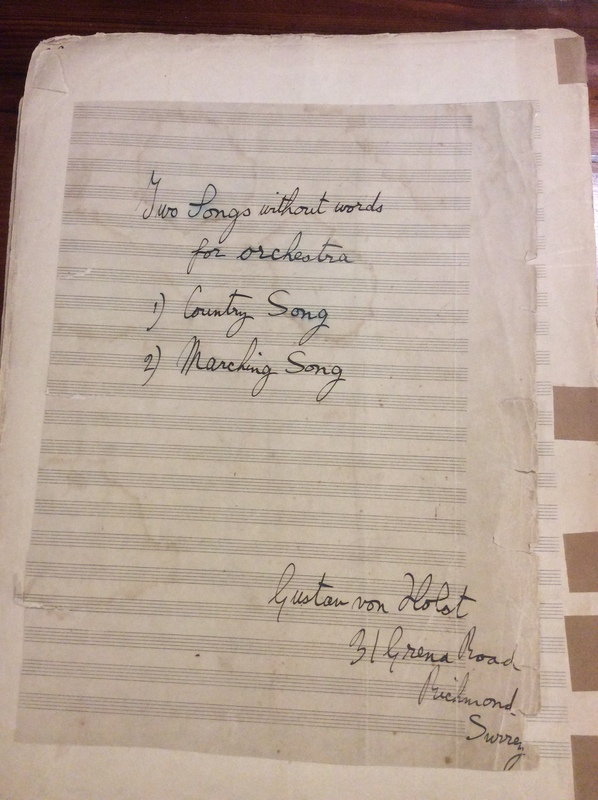 Two manuscripts were found: ‘Folk Songs from Somerset’ and ‘Two Songs Without Words’, both written in 1906. ‘Folk Songs of Somerset’ is a setting of ten folk songs collected by Cecil Sharp. It was premiered in 1906 by the City of Bath Pump Room Orchestra, conducted by Holst. After the premiere, Holst reworked three of the folk songs from ‘Folk Songs from Somerset’ into a new piece, entitled ‘A Somerset Rhapsody’, which was published in 1907. The original ‘Folk Songs from Somerset’ was never published, and the premiere was possibly the only ever performance. Prior to the discovery of the manuscript, details of the work were only known through the description in the programme notes from the premiere performance. Unlike ‘Folk Songs from Somerset’, ‘Two Songs Without Words’ was published, so has been regularly performed. However, the original score was thought to have been lost. 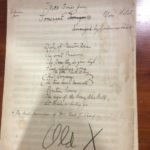 An orchestral score written out by a copyist and an autograph arrangement for brass band are held in the British Library in London.